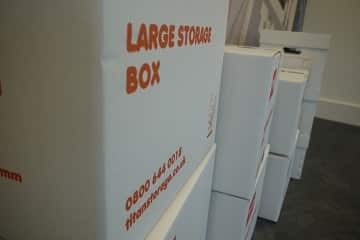 Your local storage facility is Littlehampton. The seaside town, located in West Sussex, is where you’ll find the local Littlehampton branch; the first choice for your storage needs, providing personal and business storage solutions. This service also covers Bognor Regis and Arundel. Looking for self-storage in Goring-by-Sea? 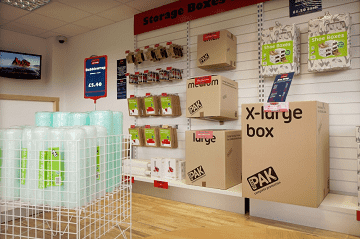 Our clean and modern Littlehampton storage facility is your nearest site conveniently located just a short 20 min drive away from the centre of Goring-by-Sea. If you’re looking to expand your business and need storage space for archiving and stock, or you’re simply moving into a new house, we have the right solution at a price that can suit you. Head out of Goring-by-Sea on the A259 (Mulberry Lane). At the roundabout near the Tesco Express, take the third exit to continue on the A259. Follow the A259. At The Body Shop roundabout near the Shell Garage, take the second exit onto Horsham Road (B2187). Continue along the B2187 until you reach the Riverside Industrial Estate. 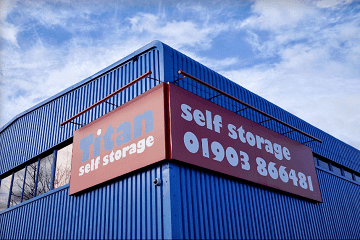 Turn left into the industrial estate and follow signs for Titan Storage Solutions Littlehampton.